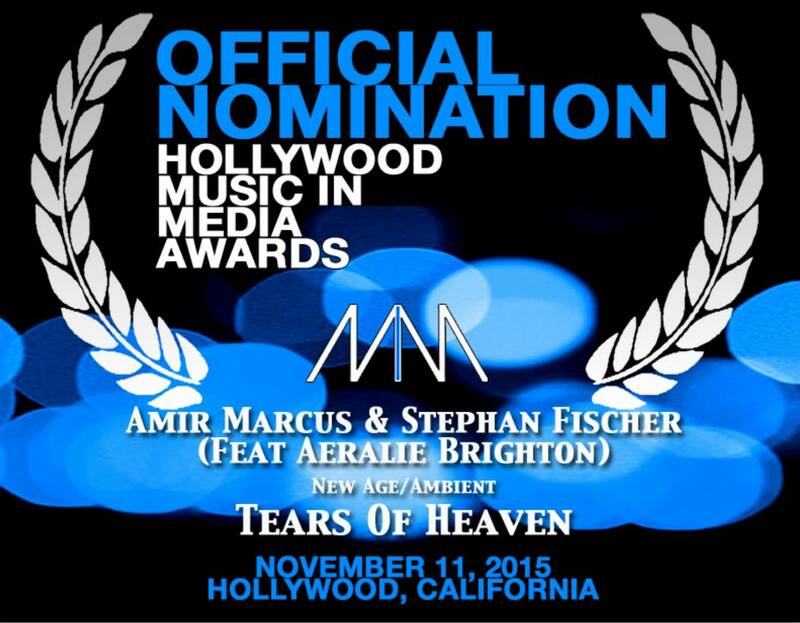 We are thrilled to announce our Hollywood Music in Media Award nomination for our recent release “Tears of Heaven” featuring the incomparable vocals of Hollywood recording artist Aeralie Brighton. We have worked incredibly hard and feel deeply humbled by the support of all who nominated us. The Hollywood Music in Media Award Ceremony will take place at the Fonda Theater in Hollywood on November 11, 2015. “Tears of Heaven” is a captivating and uplifting collaboration between EXM’s very own composers Amir Marcus, Stephan Fischer, and Hollywood recording artist Aeralie Brighton. “Tears of Heaven” is the 5th track on EXM’s newest industry release “Inspired” (Amir Marcus & Stephan Fischer). EXM Records 2015 (c) All Rights Reserved. EXM has signed with PeerMusic.